OTTAWA, Ont. – After shooting a 1-under 70 at Hylands Golf Club on Saturday, Leicester, England’s Greg Eason will look to go wire-to-wire at the FORCES & FAMILIES OPEN and earn his first PGA Tour Canada win in Ottawa. 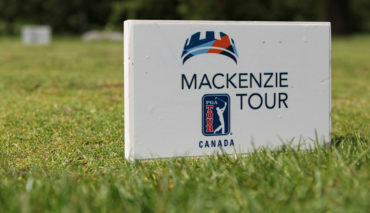 The 22-year old rookie countered three bogeys on the day with four birdies to jump to 14-under par through three rounds at Hylands Golf Club, three strokes clear of fellow Englishman Kelvin Day, Canadians Peter Campbell and Jordan Krantz and American Jeff Dennis. The University of Central Florida grad finds himself in the final group for the second time in three events on PGA TOUR Canada, after finishing one shot behind Wes Homan at the Staal Foundation Open presented by Tbaytel three weeks ago. With a strong pedigree at UCF, where he was named an All-American as well as American Athletic Conference Player of the Year in his final season, Eason says he expects to be comfortable in the heat of battle on Sunday. 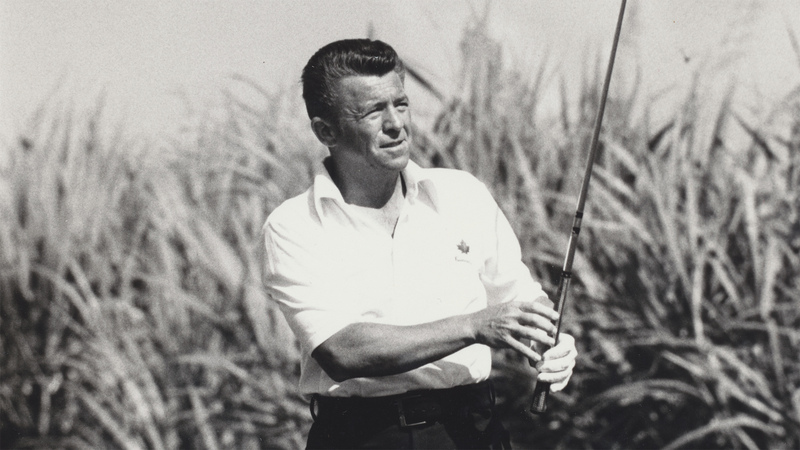 Dennis, who calls Ponte Vedra Beach, Florida home, was Eason’s closest pursuer late in the day, but after a bad drive at the 18th, struck the flagstick with his third shot and watched his ball spin off the green, leading to a bogey. “I played steady. I got some good breaks in the beginning, and I guess it all evens out after 18. I’m in the mix so all I can do is go out and play tomorrow,” said Dennis. 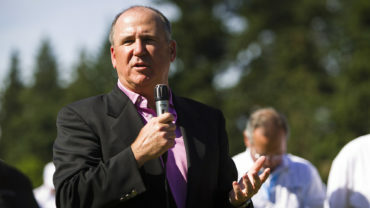 Krantz, a native of Vermillion Bay, Ontario, briefly tied Eason for the lead at 13-under earlier in the day, but made double bogey at 18 to drop back into a tie for second with fellow Canadian Peter Campbell of Baddeck, Nova Scotia. Day will play alongside Eason in an all-English pairing on Sunday after shooting a 5-under 66. North Vancouver, British Columbia’s Eugene Wong, who shot a 10-under 61 on Friday to hold second place through 36 holes, fell to a 4-over 75 to drop to a tie for 14th. 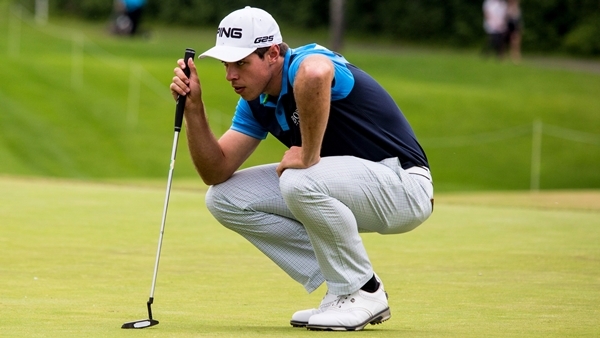 Baddeck, Nova Scotia’s Peter Campbell made the switch from a long to a short putter before the FORCES & FAMILIES OPEN, and the results have paid off for the 31-year old, who sits tied for second at 11-under after a 4-under 67 in round three. 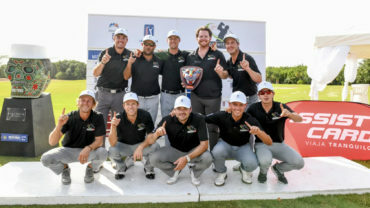 Campbell has been a world traveler in 2014 after securing medalist honours at NEC Series – PGA TOUR Latinoamérica Q-School this winter. In seven starts there, he has three top-25 finishes, including a T2 finish at the Mundo Maya Open. Campbell said the experience has been ultimately helpful as he looks to make his way up the professional ranks.